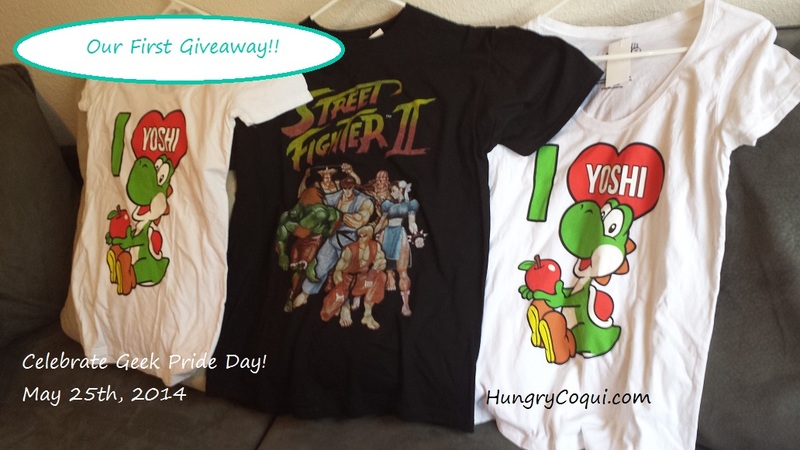 Home / Geek Life / Geek Pride Day: Hungry Coqui’s First Giveaway! Geek Pride Day: Hungry Coqui’s First Giveaway! Recently, Star Wars fans the world over celebrated May the Fourth be with you. While I have seen all of the movies, I am not a huge Star Wars fan, so I did not partake. However, May 4 isn’t the only day this month to let your geek flag fly. May 25th (the anniversary of Star Wars), has been considered Geek Pride Day for several years now, and I’m celebrating in my little corner of the blogosphere with HC’s very first GIVEAWAY!!! YAY!!! You must subscribe to the blog directly or to one of the social media feeds to be an official entrant. You may subscribe/like/follow multiple feeds for multiple entries. Entries are accepted until 11:59pm (Central) on May 24th. That’s six chances to win! Follow HC today! 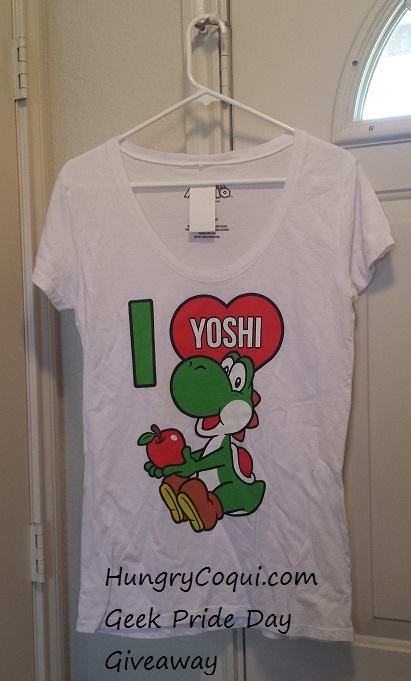 This ladies tee features Yoshi and is a generously cut size medium. I have one that fits comfortably and I normally wear a large. Two of these will be given away. 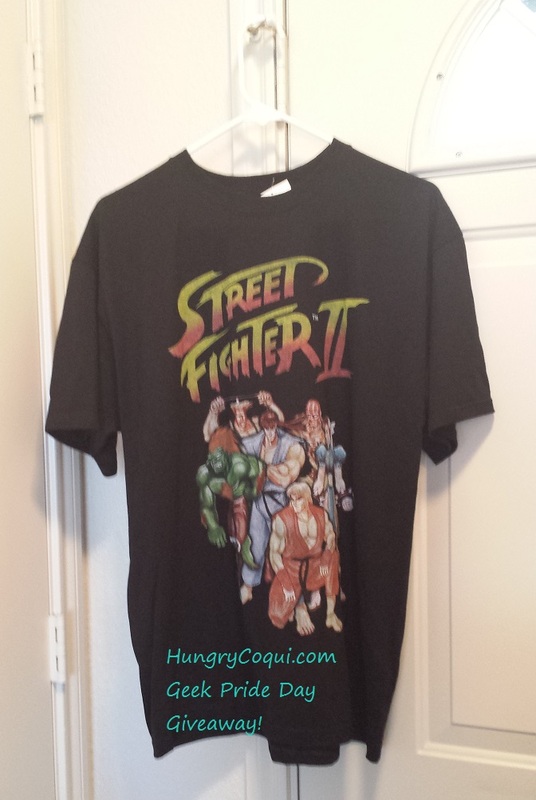 This regular tee is a size Large and includes Blanka, Guile, Ryu, Ken, Dhalsim, and Chun Li from Street Fighter II. One of these is available to win. Winners will be contacted via email on May 25th and announced that day on the blog and social media. Winners will have until 11:59 (Central) on May 31st to respond via email and claim the reward, or new winners will be chosen and contacted.